Many successful teams and organisations have strong cultural beliefs at the heart of what they do and how they perform. Invopak has been embracing a cultural shift over the last 3 years whereby we have been focusing on how our actions impact upon our customers. We want these to be of a positive, confident and reassuring nature whereby we keep our customers informed during all stages of the ordering and delivery cycle. Our working culture focuses on how our actions can shape the customers’ experience with us. This is shared between a group of like-minded people who demonstrate a common Purpose and set of Values which we believe sets us apart. We demonstrate this by what we do, by what we say and by how we do it. We are driven to improve what we do by 1% every day for our Customers. To help guide, align us and keep our performance culture at the forefront of our minds all Invopak Team members embrace our Planning Pyramid. This is a simple planning tool which shapes our short, medium and long goals resulting in us all working towards fulfilling our Company purpose, the reason to “Why” we exist. 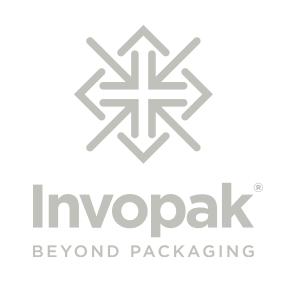 That Purpose is... "We Believe In Delivering Our Customer's Products To Market With Confidence"
Invopak has four core Values which shape the “How” - as a team - we go about fulfilling our Purpose. Building on our positive reputation. Always looking for new ways of doing business. Everyone here makes a difference. By adopting these Values, we believe they differentiate us from other Companies. We rely on these Values to guide the decisions and actions we take so that we continue to work on improving and achieving our Purpose.